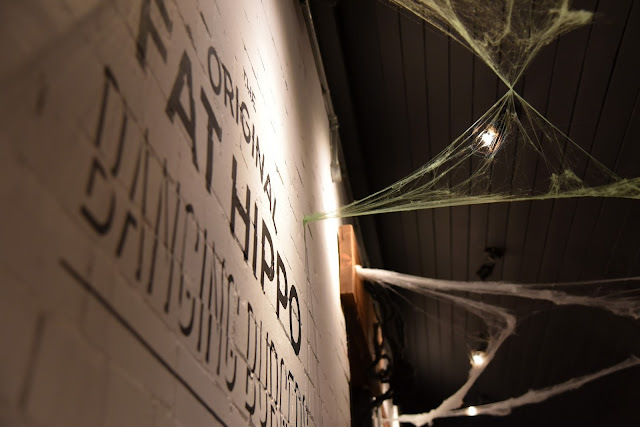 I'm an absolute sucker for a theme, if there's one thing I love more than a theme, it's Halloween, so when I saw The Fat Hippo had a special Halloween menu I was all over it! 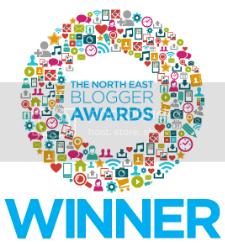 If you're from the North East I'd be very surprised if you haven't heard of The Fat Hippo, they have restaurants in Jesmond (where we were), Newcastle and Durham and they can nearly always be spotted at any good food market or foodie event. We've been here before and this time we had our table booked at 6:30pm on Friday night and the little restaurant was already busy. 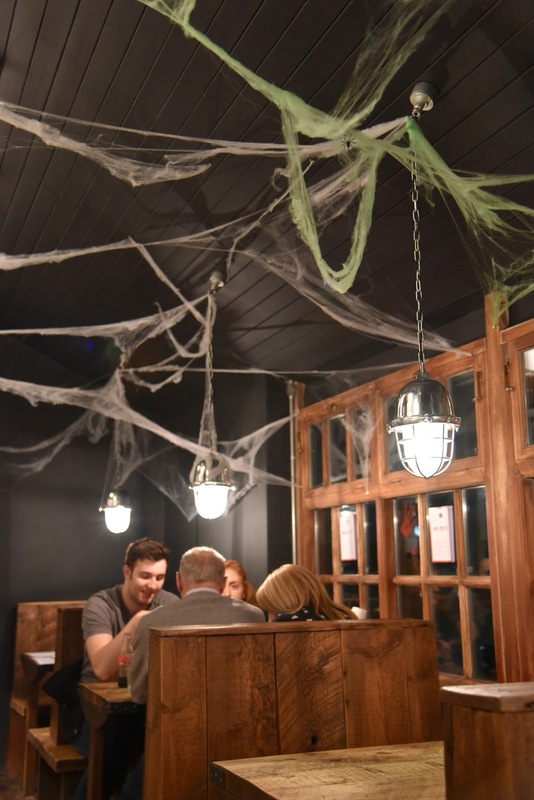 I love a bit of Halloween decoration so I loved all the cobwebs they had up. 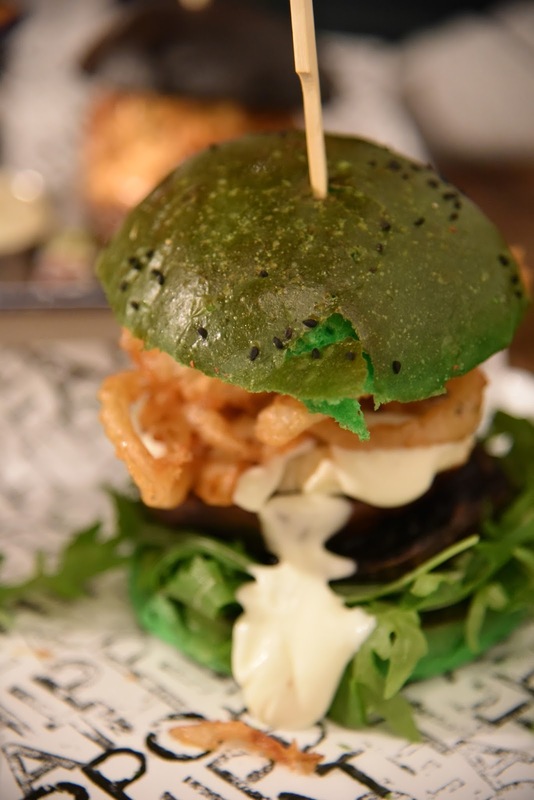 I was so pleased that there was a veggie Halloween burger on the menu so I went for the Blair Witch (£10.95) which was woodland mushroom, halloumi cheese, truffle mayo, rocket, thyme and garlic onion rings, in a spooky green bun served with handcut chips. I'm not a lover of mushroom so I passed that onto Steven, but the rest was delicious! 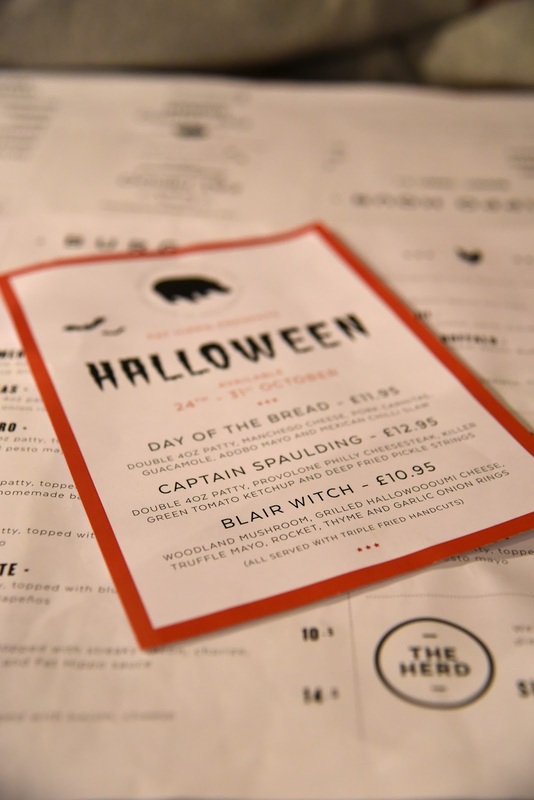 Steven actually ordered the Captain Spaulding but somehow ended up with Day of the Bread, I didn't even notice or I would've said something and he didn't tell me until we'd left, but we'd already waited a while and he didn't want to complain as he said he would've got that one either too. 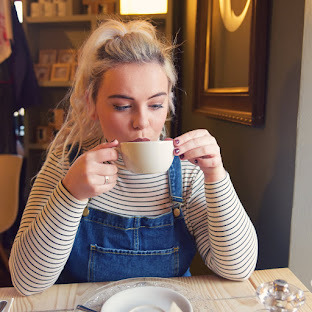 Service here isn't amazing and wasn't the last time we came, it's still friendly but it's quite slow, although it's a busy restaurant it's quite small and they had a few staff members. 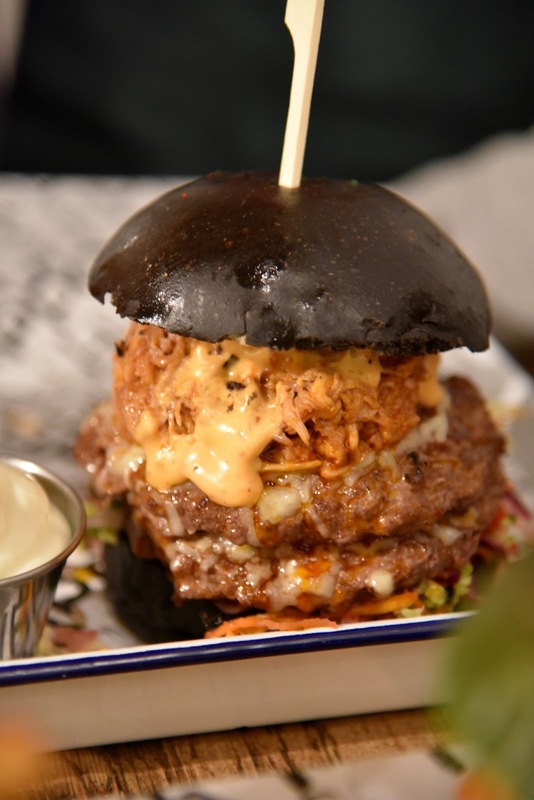 So anyhoo, Day of the Bread, (£11.95) was double 4oz patties, manchego cheese, pork carnitas, guacamole, adobo mayo and Mexican chilli slaw in a black bun with handcut chips, he thought his was delicious too. 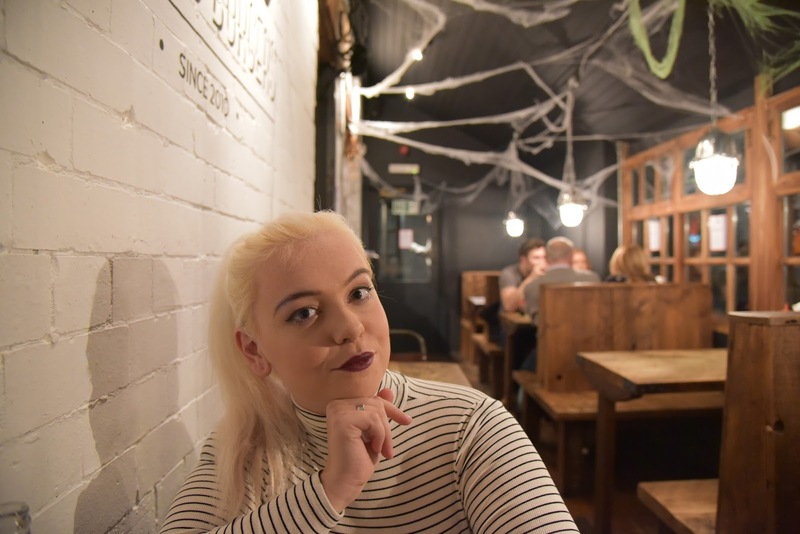 They really know how to make a great burger here, the setting is lovely and cosy, apart from the burger mix up we had a fab time, we'll definitely be back for the Christmas burgers! 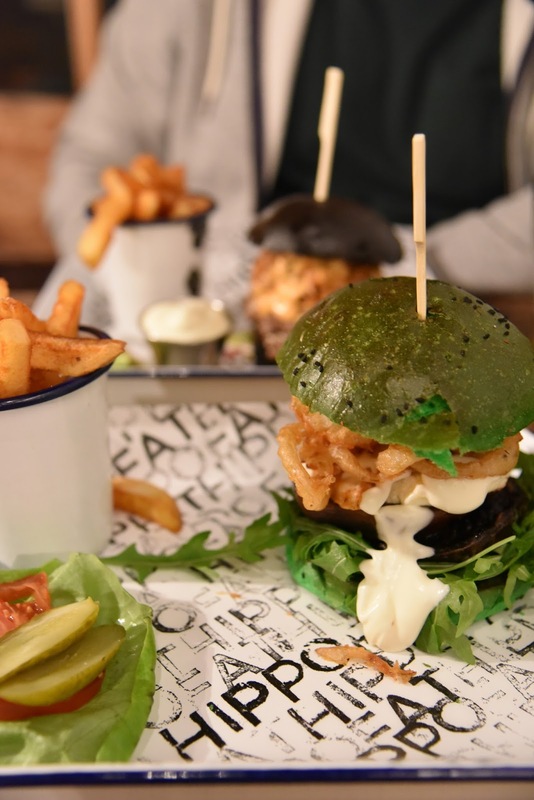 I really love that 'Fippo' always do amazing seasonal burgers, the Halloween ones look so much fun although I really don't know if i could bring myself to eat a green bun!